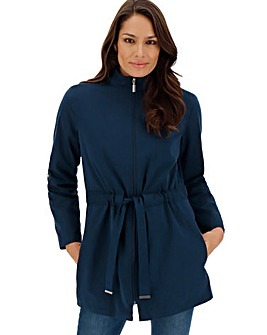 Stay warm in style with plus size women’s coats and jackets from our collection. 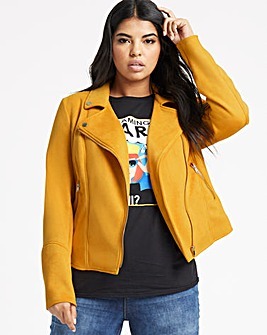 From snuggly coats to classy blazers, our coats and jackets will help you brave the elements. 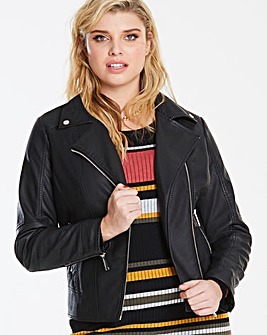 We have a great selection of outerwear so you’re sorted for every season. 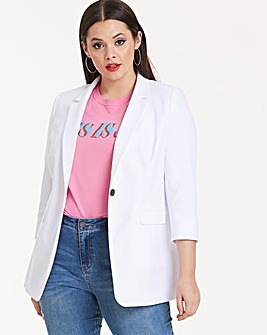 Whether you’re looking for practical plus size women’s winter coats to keep you cosy or lighter layers for summer, you’ll find trendy designs from your favourite brands. 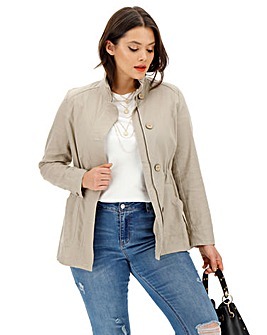 Our range of plus size women’s coats includes classic parkas and chic trench coats to keep you on-trend throughout autumn and winter. 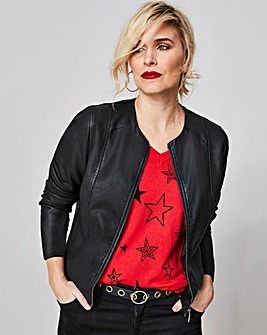 For figure-flattering blazers and timeless leather jackets, see our collection of plus size women’s jackets. 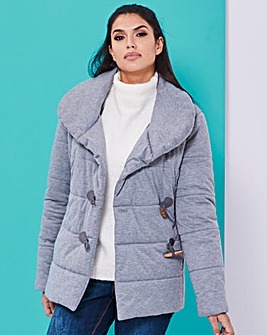 Thanks to our range of ladies’ coats, you can layer up without sacrificing your style. 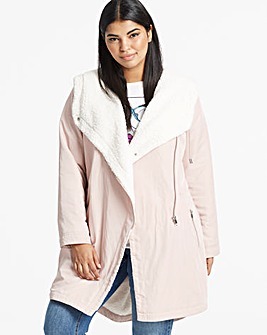 Padded coats are big this season, and we especially love them in fabulously bright colours. Animal prints are also having their moment in the spotlight, so why not liven up your winter ensembles with faux fur and animal print coats? 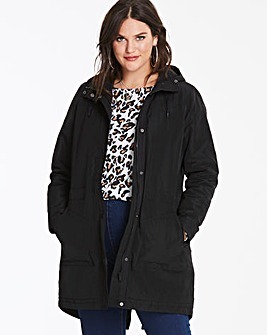 You can never beat a parka, the ultimate blend of fashion and functionality. 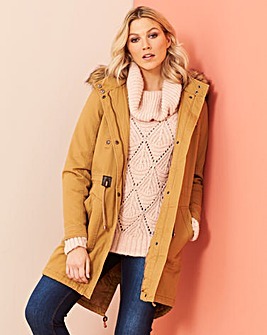 Perfect when layered over chunky knitwear and paired with woolly hats, scarves and gloves, you’ll be ready to face the outdoors. 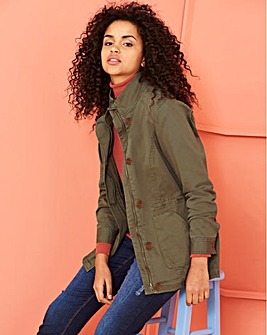 Having a trusted go-to jacket is a must for days when the weather can’t make its mind up. 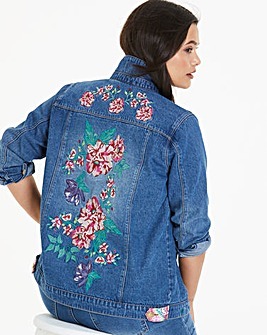 The right jacket can also complete your outfit whatever the season, so they’re well worth investing in. 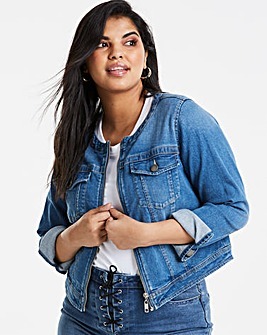 Denim has well and truly made its comeback and you can own this trend with a staple denim jacket from our collection. 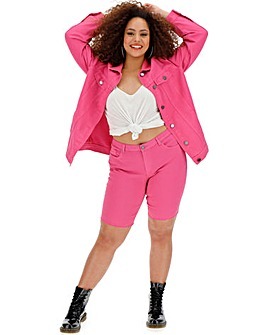 Going for a rock diva vibe? 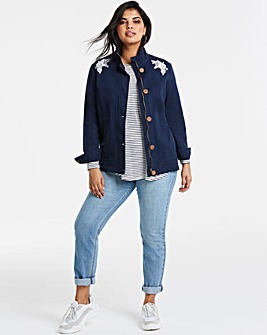 A leather biker jacket can help you achieve this effortlessly. If you want to make an elegant statement, opt for a sophisticated velvet or embroidered jacket for dressier occasions.